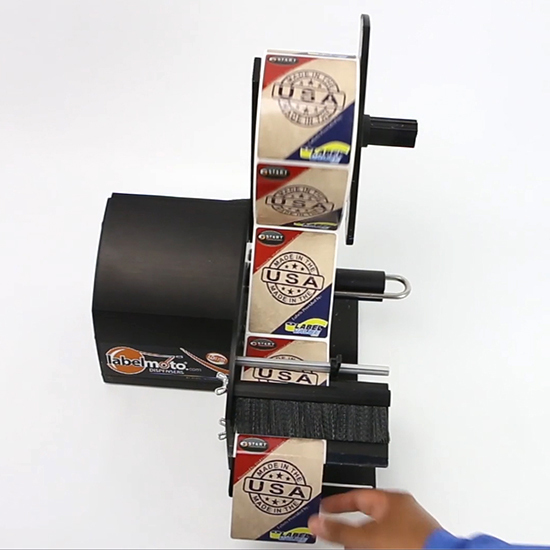 The Labelmoto® LD6100 SuperSpeed electric label dispenser automatically peels and advances a wide range of labels and die-cut parts made from clear materials such as vinyl and acetate. The LD6100 has a photosensor, which ensures that the unit peels, dispenses, and advances accurately and consistently. The liner scrap is automatically rewound for a clean working environment and labels are dispensed at 6.6" (168mm) per second! No tools are required to adjust the dispenser for different label sizes. It also has an adjustable strip plate for hard-to-release labels. 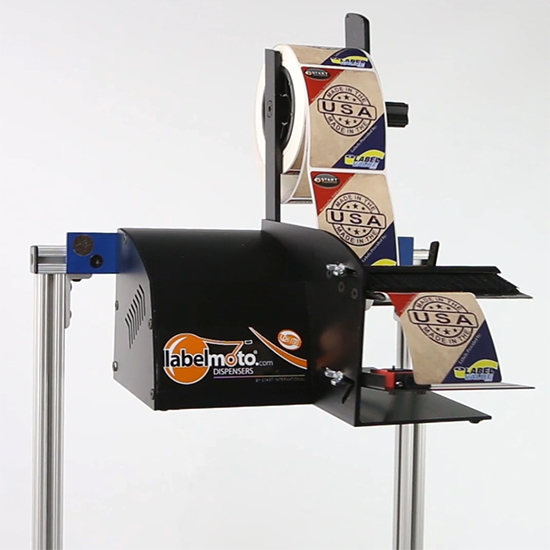 The dispenser has a high-torque motor to handle the weight of large-diameter label rolls, with a maximum outside roll diameter of 12"/305 mm. The dispenser housing is made from anodized aluminum for durability. 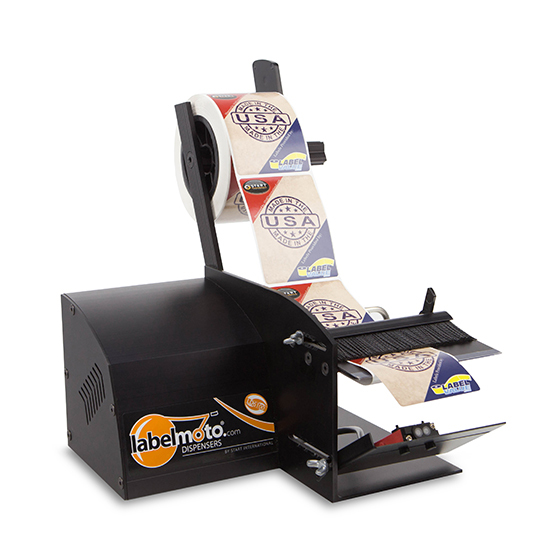 The Labelmoto® LD6100 label dispenser operates on 100/120 VDC at 50/60 Hz. This label dispenser is made in the U.S. It is suitable for industrial uses such as manufacturing, assembly, and packaging.